The way in which cannabis affects motor skills varies pretty greatly from one person to another. In the event that you’re an avid user, your motor skills will be less affected. Furthermore, the amount that you use, as well as potency, can have an impact on this as well. But, as a whole, studies do show that cannabis will affect motor skills through the nerve cells which control muscle movement. While, through studies, we know that cannabis can affect these areas, it’s quite tough to judge. Being that studies are still quite limited due to legalization, and outstanding bias, the numbers we get form studies can often become skewed. One of the largest issues is that, while there are claims that high drivers are more likely to crash— cannabis stays in your system for days, weeks, or even a month at a time. Therefore, you can fail a drug test even if you weren’t high at the time of the crash. Because drug testing for marijuana is still difficult to pin down time-wise, much of the testing can be easy to refute in court because it likes accuracy on anything other than the fact that you were, at some point in the past few weeks, under the influence. Getting a DWI on legal drugs is actually quite possible, and even common. 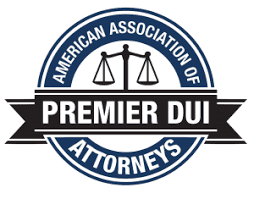 When you hear the term DWI or DUI, you likely think solely of drinking and driving. 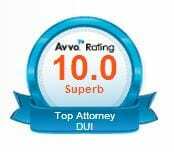 While this is definitely the most common cause for DWI charges, it is not the only reason for receiving those charges. In fact, there are many over-the-counter drugs and prescriptions that can lead to a impaired deriving charge, if you choose to drive with them in your system. That medication you have, could be perfectly legal but still result in a DUI. Ultimately, the law requires that a driver is on the public roadway and under the influence of any impairing substance. Therefore, legal drugs of any sort can still lead to issues if you are stopped for any reason. We’ve seen these cases come up with celebrities and athletes in the past, such as Tiger Woods. Many medications, no matter how minor, come with a range of side effects. Those side effects can go from nausea, slowed motor skills, blurred vision, drowsiness, lack of coordination— ultimately, if you can name it, it’s probably a side effect of some medication. And if you combine any one of these with driving? It can lead to trouble for you, as well as other drivers. Next thing you know, that pain medication you took a little bit of is landing you in court and with a DUI conviction. There are people who drive under the influence deliberately, and others who merely make a bad judgement call. Taking a necessary medication, and driving, falls into that judgement zone. In order to prevent these types of DWI on your account, speak with your doctor. Take the medicine as prescribed, discuss the risks of driving on the medication, and any other side effects for your own safety. It’s also important to remember that every body, and it’s reaction, are different. So, even if the doctor does not communicate any risk— exercise caution when using the medicine until you understand how it effects you. Furthermore, never drink on medication, and find a designated driver if you plan on doing so. Medication and alcohol don’t mix, especially with driving. So, drive smart, drive sober, and speak with your doctor about medication risks. A vehicle accident which occurred in Gaston NC will result in two charges related to impaired driving. Normally one would think that the drivers of two separate vehicles are receiving the charges. However this case is not an ordinary case, as both the people being charged were in the same vehicle. The driver of the vehicle that was involved in the accident and the passenger of the vehicle will be receiving charges related to impaired driving. The accident happened when the passenger grabbed the steering wheel to navigate the vehicle for a moment while the driver was texting. The driver of the vehicle was sober at the time but the passenger was intoxicated. The passenger was taken to the hospital but will be charged with DWI. The driver of the vehicle will be charged with aiding and abetting a DWI. The law in North Carolina permits someone to be charged with aiding and abetting a DWI if they let an intoxicated person operate the vehicle. So this blog then begs the question, what is aiding and abetting in North Carolina? Accordingly, there was near two thousand North Carolina resident who were subsequently charged with the crime of aiding and abetting last year alone in the state of North Carolina in violation N.C.G.S. 20-138.1. The statute specially states that a” defendant aids and abets impaired driving when he knowingly advises, instigates, encourages, or aids another person to drive while impaired and his actions cause or contribute to the commission of the crime. State v. Goode, 350 N.C. 247, 260 (1999). Essentially, what this law is saying in laymen’s terms is that if you allow another person to operate your vehicle while they are impaired, and you are impaired, and the driver of your vehicle contributes to the crime at hand, which is most likely a DWI, then you too can be charged separately as a defendant in a separate case, simply for allowing the intoxicated person to operate your vehicle while they are above the legal limit. This charge has become increasingly more common in the state of North Carolina. If you have been charged with a DWI or an “aiding and abetting” charge in North Carolina, it is important to contact an attorney who understands the law. Our attorneys at Robert J. Reeves, P.C. have experience handling criminal cases in NC and will work tirelessly to defend your case. Contact one of our attorneys today directly by calling 704-499-9000 or toll free 877-374-5999 or you can visit our main page at www.rjrlaw.com for more information. A popular question that often comes when discussing probable cause for a traffic stop is can a police officer stop someon e based only on a visual estimate of their speed? In the Fourth Circuit that question appeared to be answered in the case of United States v. Sowards which held that the officer’s visual estimation that the defendant was slightly speeding was not enough to justify a traffic stop. However in a case that was ruled on last week this holding has been modified. So what does this mean for us now? With this new case the federal courts is likely to find that a police officer has probable cause to stop someone only based on a visual estimate of speeding if certain conditions are met. The parameters established so far appear to be that one officer who “measurement challenged” may lack probable cause to make a stop but if two police officers make an almost identical estimate of the speed that would be enough. We will have to see how this issue continues to play out in our courts to determine what the middle ground here is. The attorneys at Robert J. Reeves, P.C. have the experience and knowledge of North Carolina criminal law that is necessary defend your case. Contact us toll-free at 877-374-5999 for more information on your options.